Legal work is considered one of the most demanding professions next to medical professionals and executives. Those practicing law experience copious amounts of stress, with the pressure to meet tight deadlines, gather information, and present (without mistakes!) a dire need that determines the success (or the end) of someone’s career. Despite the fact that depression, anxiety, and substance abuse are major concerns for those in law, many law schools do not provide students with the resources they need to effectively cope with major stressors they will face on a daily basis. Mindfulness is an incredibly effective practice that can be done nearly anytime, anywhere – making this a very viable option for those in high-pressure positions. Personal responsibility weight is heavy. According to a 2017 article published in Bar Bulletin, lawyers become stressed as they not only manage heavy caseloads, but also listen to their “traumatized clients feelings and experiences” and feel personally responsible for fixing their clients’ trauma through winning their case. Physical and emotional symptoms are hard to manage. The study also emphasized that manifestations from the pressure to succeed can arise in the form of headaches, stomachaches, feeling upset or “on edge”, and more, which can certainly interfere with work performance and overall quality of life. Secondary trauma can produce PTSD symptoms. Many lawyers have been shown to experience secondary trauma (which comes from being exposed to their clients’ traumatic events), which can produce negative effects on the autonomic nervous system – such as fight or flight responses, feeling “numb”, hypervigilance, views of the world as inherently dangerous, and more. Between the pressure and stress, lawyers are likely to question their own competency. Confidence is likely to spiral downward if a lawyer is constantly under high stress, which is why it’s important to develop tools to combat these stressors. Long hours at work can be emotionally draining. 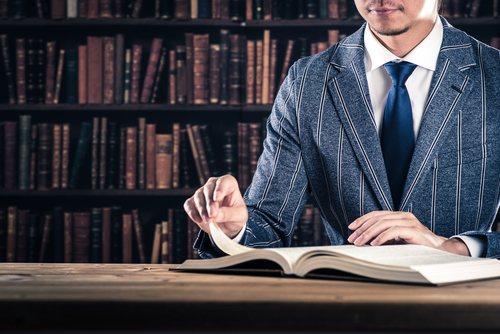 Lawyers are notorious for their long hours researching and preparing for their cases, which can deplete their energy both mentally and physically. Mindfulness ensures that they dispense their energy where it’s needed, with key tools to retaining energy as well. Lawyers are highly susceptible to developing mental disorders, as their profession requires much demand with little recovery. Mindfulness is an excellent option that can help lawyers overcome daily pressures to improve their quality of life. If you haven’t already, speak with a professional from a reputable treatment center to learn more about programs to best suit your needs. Optimal recovery is possible, and you are not alone in your pursuit for happiness, health, and wellbeing. « What Factors Impact a Pilot’s Physical and Mental Health?